The Margaret River Short Story competition, now in its fourth year, has quickly gained a reputation for excellence, with the resulting short story collection being one which always seeks out the best in short fiction from emerging Australian writers. Writers published in the collection have gone on to do great things, such as Christine Piper, who was published in the first collection. Piper won the 2014 Vogel Award and is now short listed for the Miles Franklin literary award for her novel After Darkness. This year's collection is no different; lead author Melanie Napthine has been short listed for the Dundee International Book Prize. 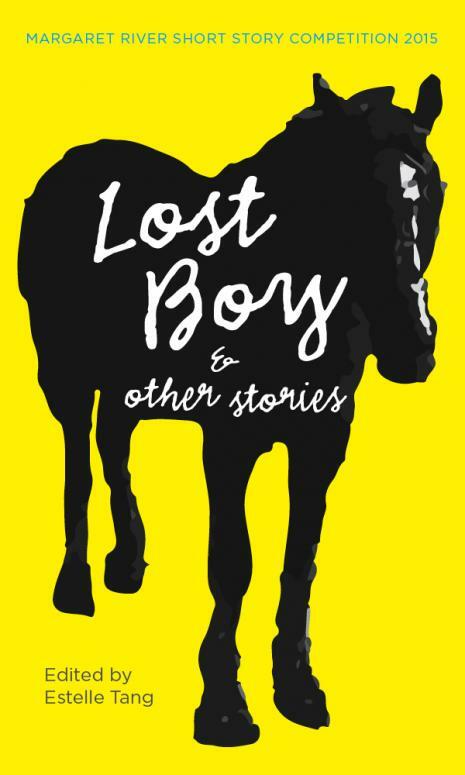 Napthine's story is about a police officer and the bond he forms with a mysterious wild boy who is abandoned outside an inner city cafe, and the betrayal felt by this police officer when things turn out to be less of a mystery and more of a con. Her prose is sharp and evocative without being overdone, and the story leaves a lingering impression on the reader, opening them up to the rest of the collection. It is hard to believe that Melanie is a relative newcomer to submitting her work, as she told the audience at her Margaret River Festival panel, but her prose is skilled and I expect to see great things from her in the future. Second place winner Eva Lomski follows on with her story, 'The Trapper', a dark story of literal and figurative entrapment, and the lengths that the human spirit can be stretched to in an attempt to escape. Lomski's writing is turning up on prize winning lists and short lists all over the place, and it's no wonder to me after reading this piece. Her characters are authentic and unconventional and her writing is punchy and evocative. Other highlights of the collection included Susan McCreery's 'The Uninvited', a story of a man who breaks into a house and ends up taking care of the woman who lives there and Claire Aman's 'Ash Miss', in which a woman bonds with an abused child over their training of a budgerigar, Overall, this is a story which showcases short stories about significant moments, or stories in which the narrators reflect back on moments they had not realised were significant at the time. They are as much about what did happen as about what could have, such as in Glen Hunting's 'Human Traffic' or in Jane Downing's 'An Undelivered Letter to the Future.' Under the editorial eye of Estelle Tang, these stories are all sharply polished, and there is a little something for every reader, which is the beauty of a multi-authored collection like this one. I can't say that I connected with every single story-- that would be impossible-- but I enjoyed this collection and the diversity of voices within it. I look forward to the work these writers will do in the future, and hope one day to get one of my own stories into the pages of one of these collections. It hasn't happened yet, but who knows what the future holds. Lost Boy and Other Stories is available from all good local bookstores, or you can order it from Bookcaffe here.